One of the pleasures of helping Kenny and Virginia McKee brand their calves in Woolley Canyon is the early morning drive up Dry Creek to the Mountain House, then down CA 245 as first light strikes the plentiful magenta redbuds in bloom, a gloriously slow and winding 45 minute trip with a pickup and gooseneck load of horses. 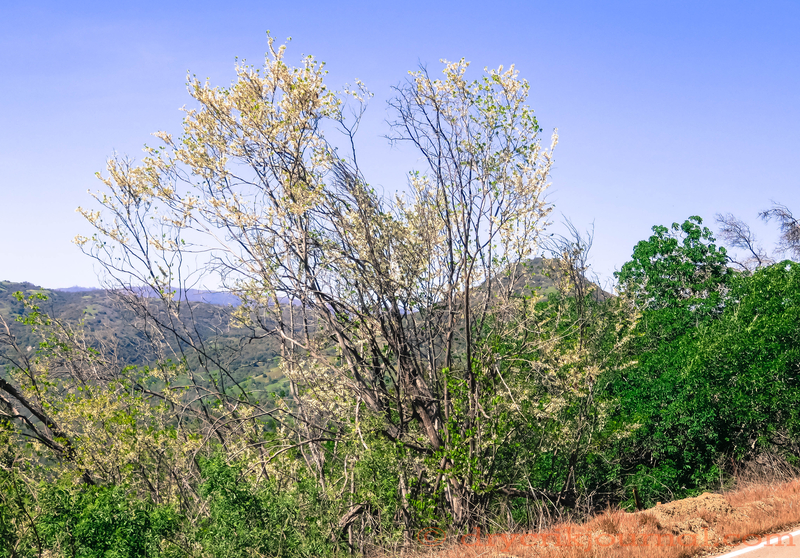 Midway between Mountain House and the entrance to Woolley Canyon grows the fabled ‘white redbud’ overlooking 5,000 acres of overgrowth that takes a week for young men and dogs to gather before we arrive. It was the late Ed Vollmer, a native of Badger, that related stories to me of how Cutch Cooper and others, several generations ago, tried and failed many times to propagate this rare find from seed. One must assume they also tried grafting to a normal redbud. Though extremely rare to the Southern Sierra Nevada, my Google search discovered that the white redbud is available from nurseries in northern California and Oregon. Nevertheless, it has become a game for us on our annual trek around the vernal equinox to locate the tree and be assured that our ‘white redbud’ is still alive. This entry was posted in Photographs, Ranch Journal and tagged local history, photography. Bookmark the permalink. This is a bit of a trip in the Way-Back Machine for me… mid 1960’s and my high school years. Lived up in that corner of the mountains and traveled up and down Boyd’s Grade countless times. In the season, I always enjoyed the white redbud.